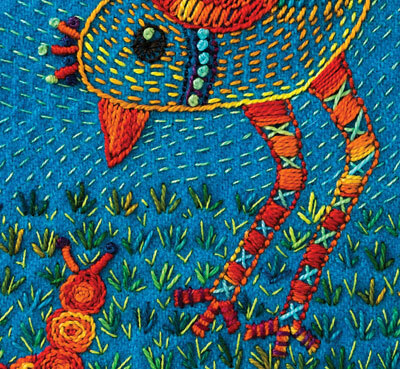 The Satin Stitch is a set of densely packed straight stitches. Stitches are lined up tightly together to make solid shapes of thread that conceal the fabric beneath. 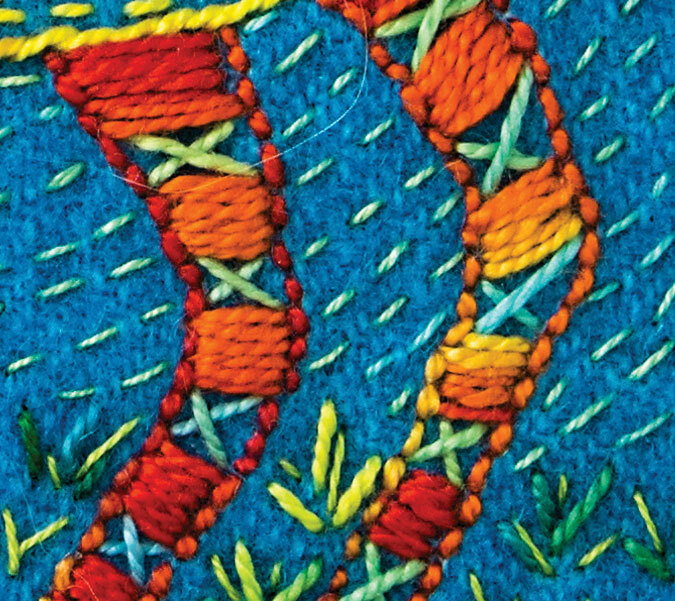 Vary the length of the Satin Stitch threads to make oval or round shapes. 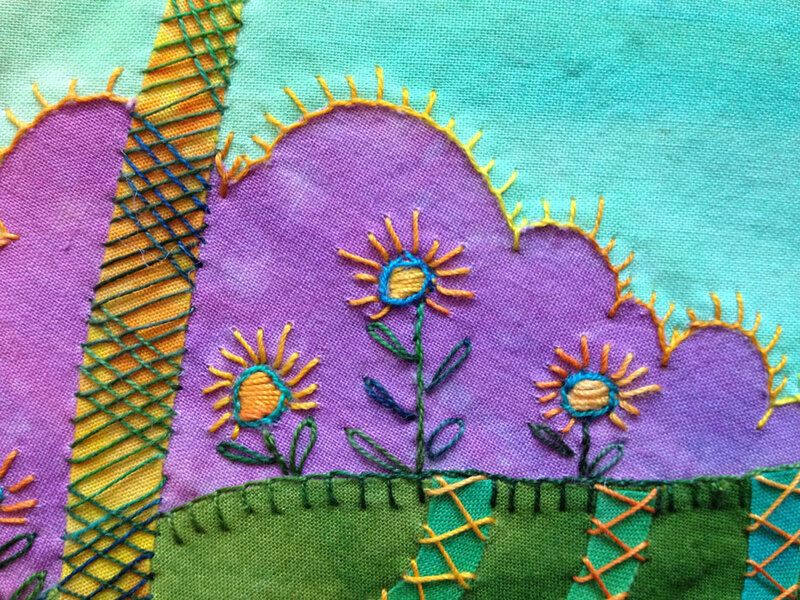 Surround round shapes with Stem Stitches and Straight Stitches to make a showy flower. To create a fish, first make a diamond shaped set of Satin Stitches. 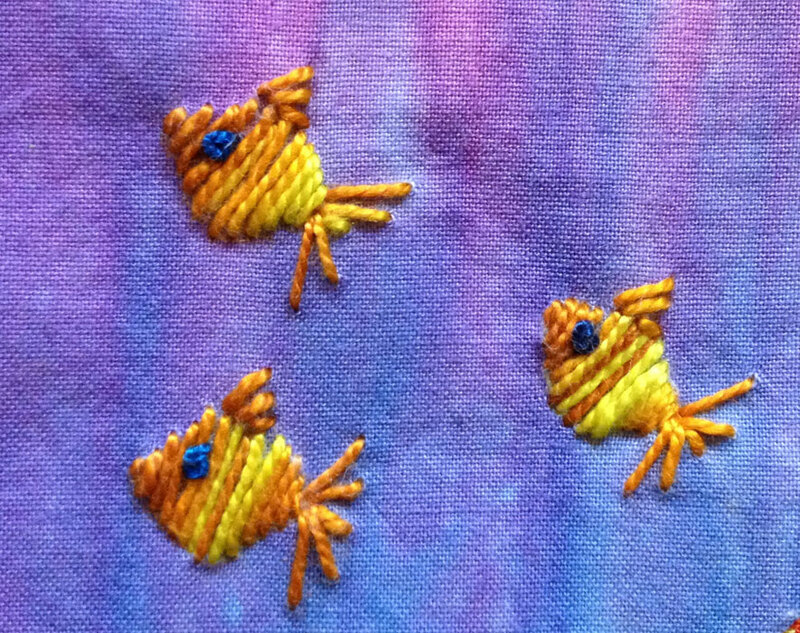 Then add a French Knot for an eye and a few Straight Stitches for a tail and fins. 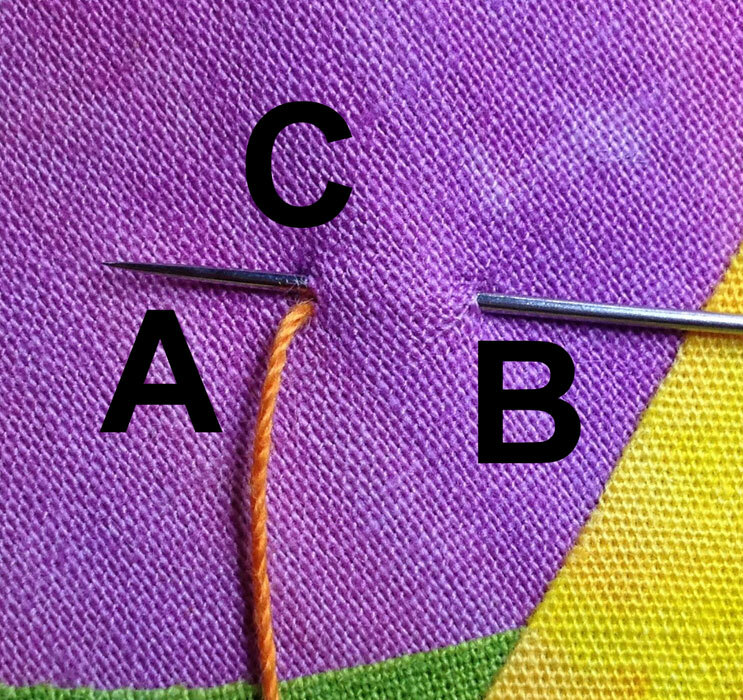 Skim the needle under the fabric to point C. Point C is as close to point A as you can get without piercing the thread coming out of A. Draw the needle and thread through the fabric. 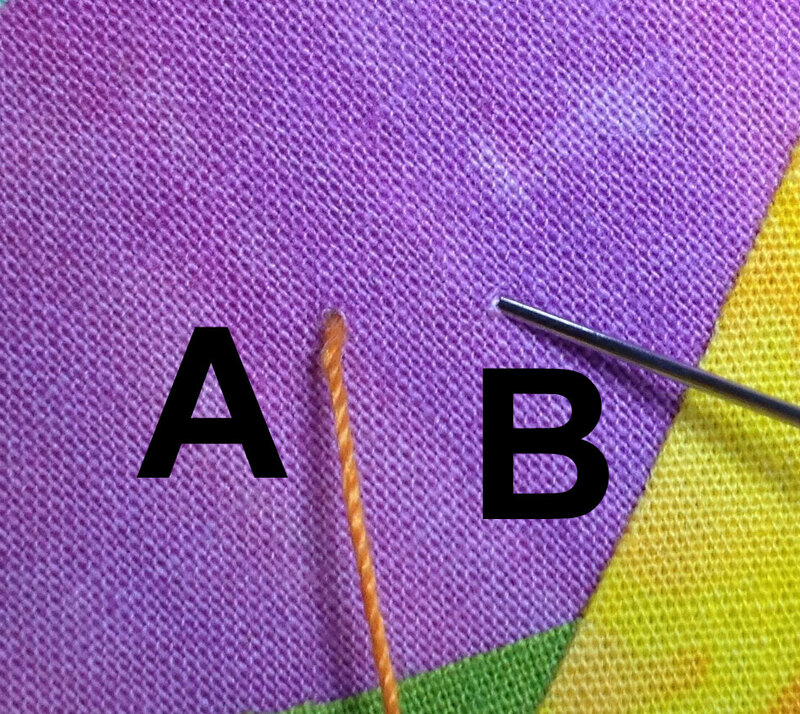 Insert the needle tip at point D. Point D is as close point B as you can get without piercing the thread coming out of B. 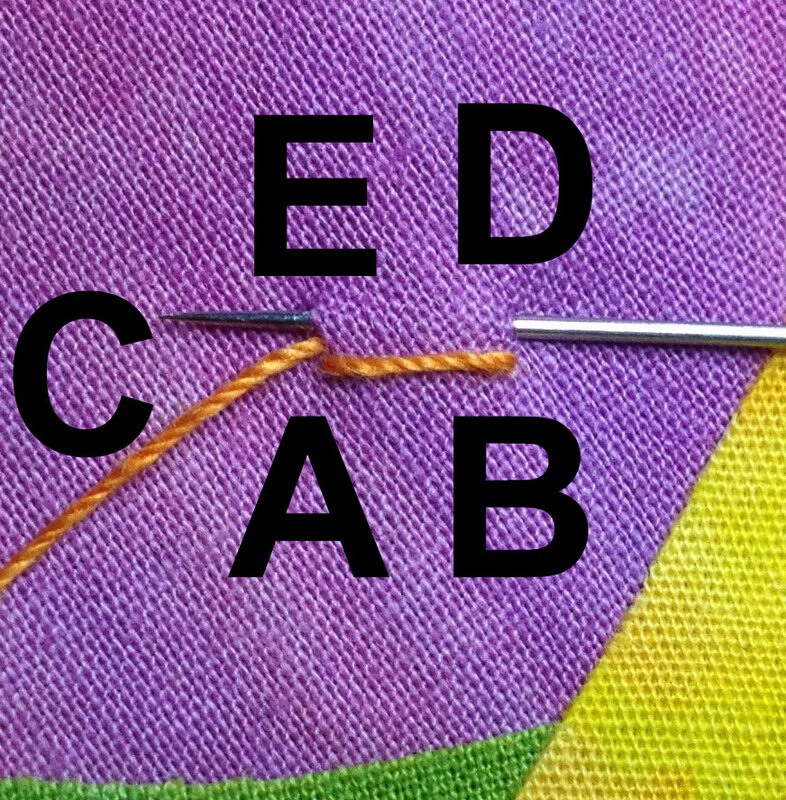 Skim the needle under the fabric to point E (just above C). Draw the needle and thread through the fabric. Continue to stack the stitches closely together to conceal the background fabric.